This is a second part of a 4-part series on how to be happy more often. If you haven’t read the first part on the Ghost of Happiness Past and how you might be holding on to reminders of bad things that happened, make sure you read that first part here. How many times have you told yourself “I’ll be happy when…”? – lose 10 pounds/5kg, etc. But there is one fundamental problem with that kind of thinking: you will always want more. And I don’t mean it in any greedy way. I just think that it’s our nature to look out for the next thing we can achieve. When you reach goal A, you’ll move on to goal B almost automatically. In fact, Tony Robbins says that when you achieve a certain big “upgrade” in life that you’ve been wanting to get to for a long time (e.g. you get a promotion, move into your Dream Home, hire a personal trainer etc. ), it takes up to 90 days to start treating that upgrade as your “new normal”. Depending what it is, it might be even quicker. But the point is that after a while we see those achieved goals as our norm, and not an out-of-reach luxury anymore. 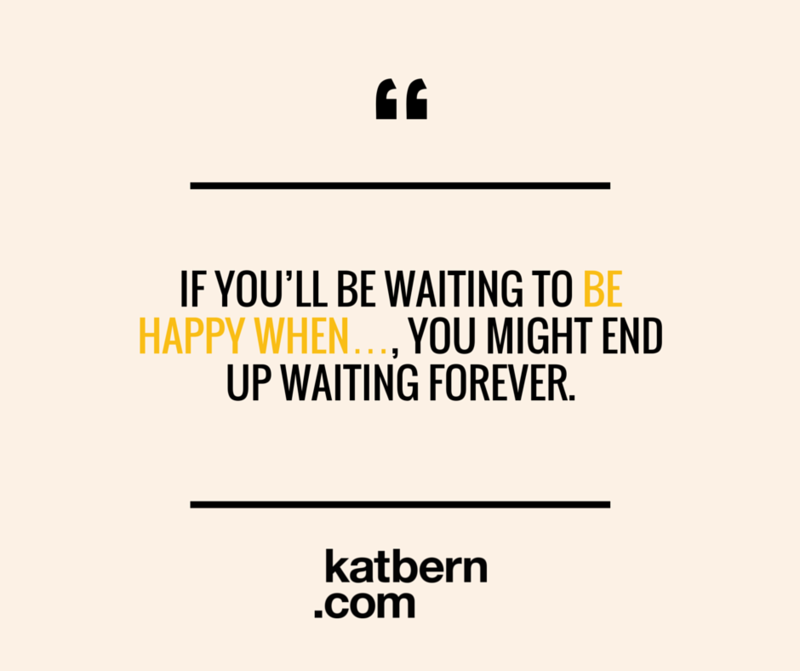 With that in mind, if you’ll be waiting to be happy when…, you might end up waiting forever. Your mind will quickly come up with a dozen of new conditions to meet, postponing that elusive point in time “when” it’s ok to be happy. We spend a lot of time in either of the two states: reminiscing stories/experiences/moments from the past OR thinking about/planning the future. We’re spending time on looking back or looking ahead, BUT neither of those states will make you experience happiness. The moments of pure happiness are experiences in the NOW. As you laugh your bum off with a friend. Or notice a beautiful blue butterfly. Or share a moment of connection with another person. If you want to be happy, you need to act on that feeling in the present moment, noticing those breaths of pure joy and taking part in the fun. Give yourself something truly happy to come back to in those times you reminisce. In part one I talked about the importance of letting go of anything reminding you of negative or unhappy experiences. And now, as we’re talking about experiencing and noticing happiness in the present (and not waiting any longer), you can actually set up some positive anchors, reminding you of the joys that you’ve felt. A note on collecting happy moments: I’m an enthusiasm of minimalism & losing clutter, so I wouldn’t really recommend replacing everything you threw away with new, happier versions of “stuff” – just to fill in the space. But I do think that you can choose a medium that resonates with you and set up a way to “collect” those happy memories, so that you can have them ready whenever you might be feeling blue and need a little reminder of all the great things/people/experiences that are a part of your life. Visual – A folder with pictures of your happy moments (that folder could also be used for your screen saver mix), or printed out and displayed nicely frames with chosen shots. Writing/Reading – A gratitude journal describing all happy moments that you’re grateful for. Listening – A playlist of your happy songs, etc. Focusing on what you have in front of you and feeling truly grateful for it with your whole body (so not just noticing that you’re happy about it, but really feeling it) will go a long way in making you feel happier more often. Think about the things in your life now that once used to be a far-off dream. And just so that we’re clear, paying attention to everything you have achieved already has got nothing to do with “settling” – you can still dream and plan next achievements (more on that in part 3), while being appreciative and mindful of your NOW. Last but not least, you giving yourself permission to feel happier now will make other people around you happier too, as you’ll become more present around them, co-creating happy moments together. Now, over to you. If you think about this for a second, can you name 2-3 things that used to be on your wish-list, but are now your everyday norm? Have you noticed how easy it is to be mostly focusing on what is next on your to-accomplish list, and forget how far you’ve come already? Or is your experience any different? Leave a comment below, I’d love to hear your point of view. And if you enjoyed this article, I’d appreciate it if you could share it with your friends by clicking the button of your choosing. 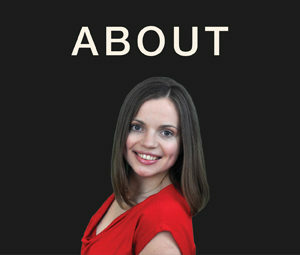 Oooh – I like the tip to reflect on the things that used to be goals but are not an everyday part of our lives! Today I an grateful for my clear vision and waking up everyday without scratchy contacts! I had lasix 11 years ago and have almost forgotten how bad I had it before my new eyes. Thanks for helping me “see” this hidden gratitude gem. Oh this is a good one! So simple, yet so powerful. Thank you for sharing, Becca!